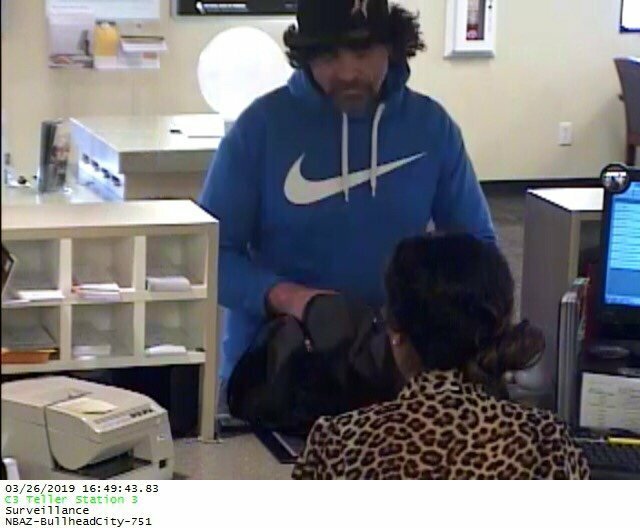 The Bullhead City Police Department is asking for the public’s help in identifying an outstanding armed robbery suspect captured on bank surveillance video. 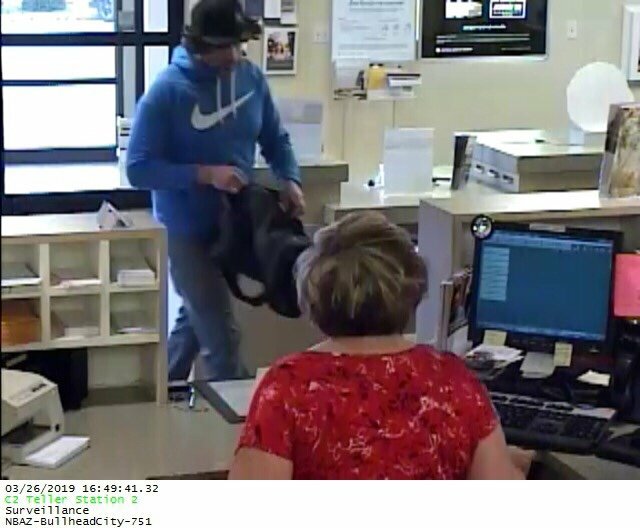 On Tuesday, March 26 at approximately 4:50 p.m., a man entered the National Bank of Arizona, 1900 block of Highway 95, told the teller he had a gun and to put all the money in a duffle bag that he had on the counter. 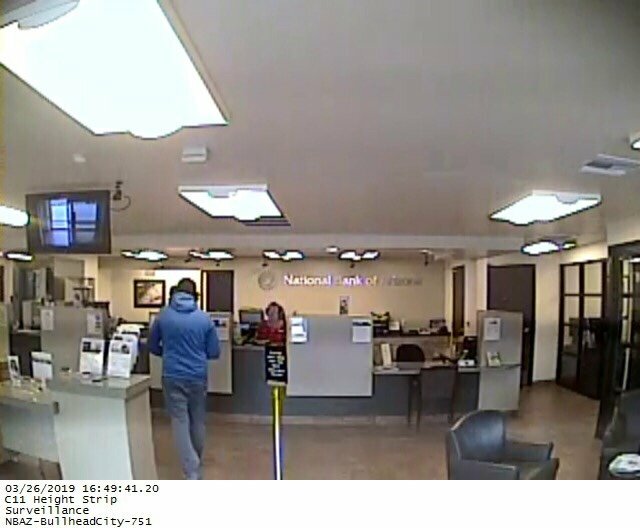 The suspect then left on foot with an undisclosed amount of money. 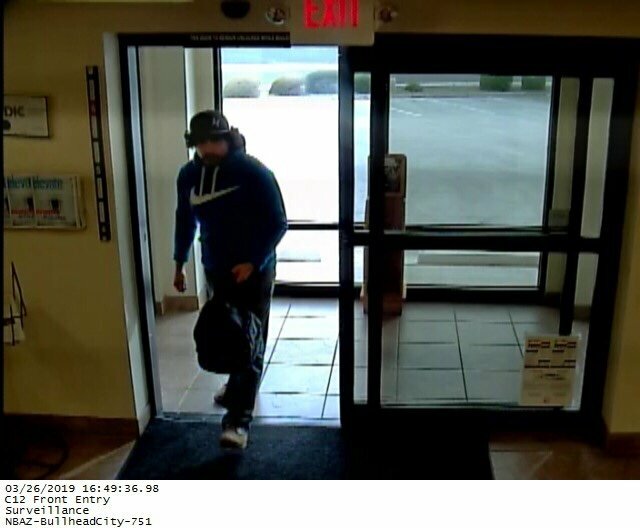 Surveillance pictures of the suspect are attached. If anyone has any information, please contact the Bullhead City Police Department at (928) 763-1999.